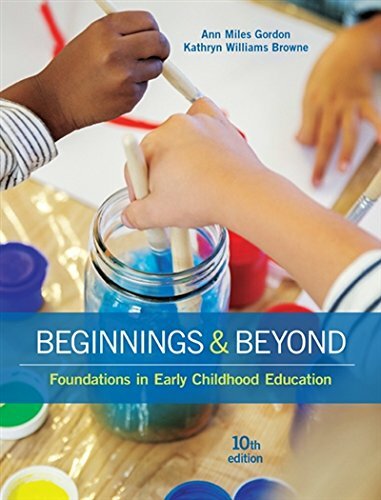 1305500962 -The primary strength of BEGINNINGS AND BEYOND: FOUNDATIONS IN EARLY CHILDHOOD EDUCATION, 10th Edition, is its blend of simplicity and depth. In a clear and easy-to-understand style, the book lays out basic questions any student of early childhood education would want answered — and presents key concepts, the latest research, and practical examples so that questions are thoroughly answered. Coverage of the current Developmentally Appropriate Practices (DAP) is woven throughout the text, as is material on diversity and development, which enables readers to understand that issues of age, gender, race/ethnicity, ability, and family are part of every aspect of teaching and learning. Every chapter has a feature focused on how brain-based research is connected to development, and another that highlights intentional teaching. Through its tone, visuals, and pedagogy, the book is accessible to and respectful of readers with a range of abilities and learning styles.